The group of creatives at 5 Mad Movie Makers have captured slow motion footage of Hot Wheels diecast cars doing incredible flips, twists, and jumps on a track. The tricks featured are the Long Jump, the Falling Roll, the 360 Flip Spin, the Double Roll, the Halfpipe, the Falling Front Flip, the Double Jump through Hoops, and the Splash Dive. 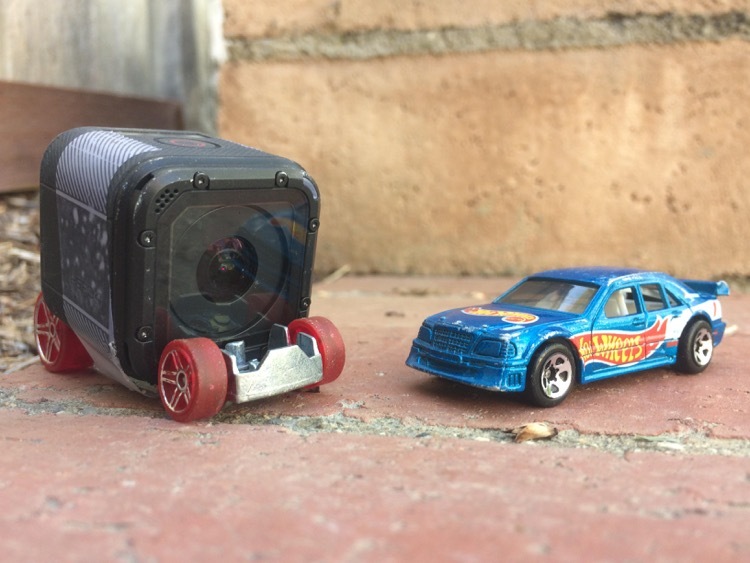 Filmed with an iPhone 5s and a GoPro Hero Session mounted on a modified “Pharadox” Hot Wheels car chassis. The cars featured in the video are the blue Mercedes C-Class, the orange Muscle Speeder, the red Gazelle GT, the white Horseplay, the white CUL8R, and the black Gov’ner car.